Attending IIT Graduate School, I met Dr. Filler on the first day of my enrollment in the Chemistry Department in the Fall of 1972. Our class was small ( four of us) and Dr. Filler heartily welcomed us to the department. He also offered us all desks in his research lab so we could study together. An offer which we all took advantage of for the first semester. I recall Dr. Filler as a man who always had a smile and friendly greeting for the students in the Department. He always shared his time with students, and was devoted to their success. This in spite of the fact that not one of us, chose him as their Dissertation Advisor. He was a gracious gentleman, who impacted the lives of many students in a positive way. A teacher and a leader. May is family be comforted by knowing the Dr. Filler was respected by the students of IIT. Miriam was my father’s cousin, my Grandma was Lena Holland. I have fond memories of spending time with Bob and Miriam and my parents speaking of his devotion to her and helping her hear. It was special to witness. I have fond memories of Bob since the time I interviewed for a Faculty position at Illinois Tech in 1983. Bob was the Dean of the Lewis College at that time and I remember interviewing with him. After I joined the university and Bob returned to his Faculty position in the Department of Chemistry he was always very supportive of my research and career. After Bob retired, he remained a presence at Illinois Tech and I was always delighted to see him at special events such as the Kilpatrick Lectures or the re-dedication of the Life Sciences Building. My sincerest condolences to Bob's children and grandchildren both personally and on behalf of the Illinois Tech Department of Chemistry in my current role as Interim Chair. Tradition directs us in the evening before the Yahrzeit dates listed below, the anniversary of our loved one's day of death, we are to kindle a candle in our homes as a reminder of their place in our hearts. There is no formalized blessing for this moment, however one may choose to meditate on the influences that their loved one had on them and offer these short prayers in their memory. At this moment, I pause for thought in memory of my beloved ______________ I give thanks for the blessing of life, of companionship, and of memory. I kindle the Yahrzeit light in remembrance, sustained by words of faith, comforted by precious memories. As this light burns purely and clearly, so may the blessed memory of the goodness of my dear______________ illuminate my soul. May his/her soul be given life everlasting, and may his/her memory be a source of blessing to those who knew and loved him/her. O God, I remember tonight the life of______________ As I light this candle to his/her memory, I put my trust in You and pray that his/her memory will serve as a blessing and source of inspiration to all people who knew and loved him/her. May God remember the soul of Robert Filler who has passed to eternal rest. O God, I pray that you will keep the soul of my dear______________ united with us in the bond of life. In his/her memory, guide me so that I will live righteously, fulfilling Your will and serving our people. May his/her soul rest in peace and be remembered as a blessing. O God, as I remember, Robert Filler I pray that I may emulate all that was good and righteous in his/her life. May his/her soul be given eternal life and his/her memory always remain a comfort and source of inspiration. A link has been broken in the chain that has bound us together, yet strong bonds of home and love hold us each to the other and we give thanks for the blessing of life, of companionship, and of memory. Sustained by words of faith, comforted by precious memories, we kindle the light in remembrance. "The human spirit is the light of Adonai." (Proverbs 20:27). As this light is pure and clear, so may the blessed memory of ______________ illumine our souls. His (her) memory is a blessing. 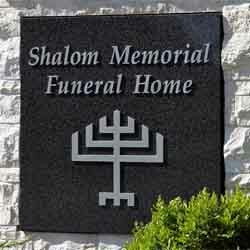 Search here for Current Services, Recent Services, Dedications and Memorial Pages.